10"x 20" Oil on canvas panel. 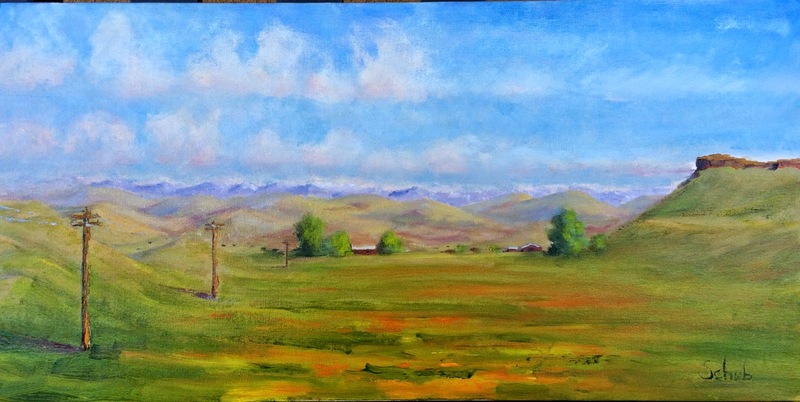 I started this painting plein air along Hwy 41 in Madera County, CA and finished recently in my studio. The table rock outcroppings on the far right of the painting are remnants of an ancient river bed. 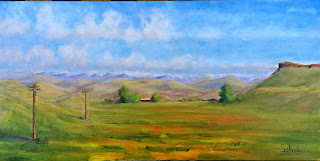 Today they are beautiful accents to the expansive grasslands, old barns and distant Sierra Nevada.